After you have g one through the exercise of understanding your state and local laws with regard to renting out your house, it is time to get it ready for some other residents. This process is commonly called “make ready”, and includes many things most “do it yourself” new landlords do not think of before renting out your house. Start with the interior. 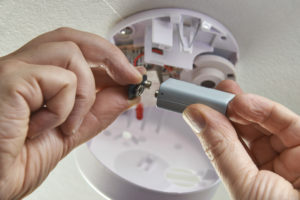 Do you have the proper number of smoke and carbon monoxide detectors in the proper place for your home to be up to code? Has your furnace and air conditioner been serviced in the last 12 months? Have all filters been changed? What about batteries in those detectors and garage door openers? Have you registered your home as a rental through the city or county if applicable? Once you have answered these questions it is time to get to work on the rest of the “make ready” process. First take a good look around. Do the walls need touch up or a full painting? Look at the caulking around tubs, sinks, toilets and window seals, and don’t forget to check the weather stripping. If you have a fireplace and the chimney has not been cleaned in the last year, now is a good time to do so. Also, if you notice or have had an issue with pests in the past, a pest control service may be in order before renting out your house. Now that this is complete, check every appliance for proper function. Turn on all burners to ensure they work, check the refrigerator and freezer, dishwasher, and all faucets. 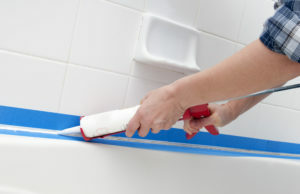 Repair any leaks and malfunctions as these items will need to be operable and in good repair after you rent your home. Remember, all appliances and “personal property” such as washers and dryers, lawnmowers, etc., will have the same rule. Make an informed decision and make sure before leaving anything in the home, that you plan to keep it in good repair for the length of your new resident’s tenancy. Next, replace any burnt out lightbulbs and have the home professionally cleaned. Once these items are complete, have a professional carpet cleaning service finish up the interior. This will go a long way in having your new renters treat the home with respect and want to keep it clean as well, saving you time and money in the long run. So you may be thinking to yourself, whew… glad I am done…right? Not quite. Do not neglect the exterior of the home in this process. Make sure the gutters are cleaned out, the lawn has been mowed and edged, and the weeds and any debris have been cleared out. If you have shrubbery or trees that need attention, a good landscape service can tidy up the exterior for you. Completing the above process by yourself can take anywhere from 6-20 hours depending on the condition of your house. Using professional services will take less time, but require a cost. Also, you need to be careful to check references and ensure the vendors can complete the job in your time frame. Whichever way you choose to go, making sure that your home is truly “rent ready” will save you time, money, and headaches in the future.